No Cooling Coming from Your Cooling System? With temperature never really cooling down in our area, there’s no denying when summer is well on its way. And when we’re right in the middle of it, you’ll be thankful for an air conditioner that functions both effectively and efficiently. So, is yours doing its job? Posted in Air Conditioning | Comments Off on No Cooling Coming from Your Cooling System? 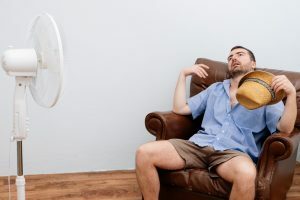 Perhaps the greatest benefit of choosing a Pensacola, FL heat pump installation as your next home comfort investment is that these systems function as both heating and cooling systems. This doesn’t mean that a furnace and a central AC are packaged together—it means that this two-in-one system uses the same components for both air conditioning and heating—and does so very efficiently.